Here at California Lutheran University's Center for Economic Research and Forecasting, we think that each presidential candidate does have an economic plan. But it is a bit difficult to discern the policy under all the campaign noise. Then there is the problem of the truth. When out of office, each party claims to be the protector of the public purse. Each accuses the other of running deficits, and both are right about this. 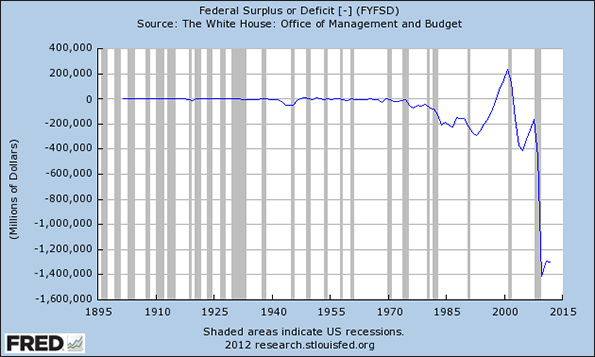 Except for a brief respite at the end of the 1990s, deficit spending has been the norm since the 1974 oil crisis. Of course, the current administration has embraced deficit spending with unprecedented enthusiasm. We think the Democrats’ plan is to increase spending and increase taxes, particularly on “The Rich,” anyone making more money than you. We think the Republicans’ plan is to cut taxes for everyone and cut spending that goes to anyone but you. To our Democratic friends, we say: You can’t tax and spend your way to prosperity. Governments may be different than people, but they still cannot avoid a budget constraint. The tax and spend policy eventually leads to Spain or Greece. Besides, the government is taking that money from someone. We haven’t seen anything to suggest that, at current spending levels, the government can more productively employ the money than the person they are taking it from. To our Republican friends, we say: You can’t cut the budget enough to fix it, and cutting taxes won’t fix either the economy or the budget. The deficit is about 10 percent of gross domestic product. That’s about the sum of defense and social security spending. We know you are not ready to get rid of every soldier and kick Granny out onto the street. Unfortunately, there is not enough fat and waste to argue that efficiency is the solution. The deficit is just too big. Besides, democracies are extremely poor at cutting government spending; witness Europe. We also saw what happened in Wisconsin when the state budget was cut a trivial amount when compared to ten percent of gross product. The problem is that hard government costs, non-transfers, are just too small to allow the cuts of the size that would be required to eliminate the budget. Transfer payments would have to be cut, but each transfer payment comes with a constituency. Those constituencies will doom spending cuts. Spending: Total government spending (federal, state, and local) in the United States represents about 37 percent of gross domestic product. It is actually a bit higher than what we saw in World War II. We believe that at this level, government spending is hurting growth. So, government, measured as this percentage, needs to become smaller. We can't cut government spending significantly. We can stop its growth. We propose capping real per-capita spending at current levels. This would allow budget growth due to inflation and population growth. No one loses anything. So, while larger-government proponents would object to the plan, the lack of losers would minimize resistance. Once spending was capped, we recommend some compositional changes that would improve economic outcomes. Because this would create losers, there would be resistance. However, for every dollar reallocated, there is also a winner. The political outcome is uncertain. Our recommended changes would reallocate government funds away from uses that retard or distort economic growth. 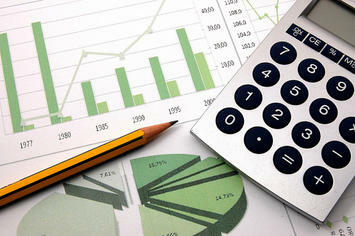 This would help minimize future budget challenges, and it would increase economic growth. Still, these changes are not as important as capping spending. Our first change would be to eliminate all subsidies in the budget. These include subsidies for businesses, farms, and consumers. Government's place is to provide the environment for economic growth, not pick the winners or losers. There is abundant evidence that government is not better at market decisions than are market participants. Let the markets work. This is not to say that we would eliminate the safety net. Modern economies need a safety net, one that provides a socially approved standard of living while maintaining incentives for productive work. We would let recipients decide how best to allocate their funds. We would also raise the retirement age. Official retirement ages have failed to keep up with advances in life expectancy and health. The result is that we are losing, in some cases, forcing out, incredible amounts of human capital. Given the economy and the demographics, we need that human capital working for us. Finally, we would concede defeat on the War on Drugs. No doubt, drugs impose a heavy price on users, their families, and society. The impacts are tragic. However, the War On Drugs has failed to eliminate drug use. It's not even clear if the war has reduced drug use. Drugs are not only readily available, it's easier for a high school student to obtain drugs than alcohol. The costs of prohibition, even if partially effective, are high. The costs include higher crime rates, gangs, prisons, direct police costs, and the costs of police being diverted from more productive uses. If we were to take all the resources currently spent on the War on Drugs and use those funds to provide education, counseling, and treatment the economic costs of drug use would go down. Taxes: Our recommended changes to the tax code would increase revenues and improve economic outcomes. So called "spending in the tax code" reduces government revenues and creates effectively distortionary subsidies. We need to get rid of this, for all the same reasons that we need to get rid of subsidies in the budget. We would eliminate all tax deductions, including individuals' mortgage deductions and employers' healthcare deductions. We would keep existing individual income-tax rates, neither lowering marginal tax rates nor increasing marginal tax rates. However, we would eliminate the differential tax rates that capital gains and dividends enjoy. That is, we would tax dividends and capital gains as ordinary income. Taxing dividends and capital gains would allow us to eliminate corporate taxes, removing the double taxation of capital, putting capital and income taxes on an equal footing. By taxing capital and labor at the same rate, we would eliminate distortions and improve economic outcomes. Economic Policy: If real per-capita spending is fixed, the only way to reduce government's share of the economy is to have real per-capita economic growth. While real per-capita economic growth has been the norm since the industrial revolution, achieving it has been a problem in the past few years. Policy has been part of the problem. Fixing the policy will result in an immediate robust recovery. Most people would not suspect that immigration policy is the first policy we would change. Specifically, we would initiate a massive increase in legal immigrations. The benefits would be far-reaching and immediate. An increase in population would drive up housing prices. This would restore Americans' balance sheets by offsetting the losses from the bust. It would immediately increase activity in the construction sector and in all sectors that benefit from increased home construction. There would be other benefits. Legal immigrants are educated risk takers with a lot to gain. Far from taking jobs from Americans, they create new businesses at higher rates than the domestically born. The talents, creativity, and drive they would bring would hit all sectors like a power drink. By itself, changing immigration policy would change our economy's trajectory in a dramatic way, but there is more that could be done. Removing all trade barriers is an obvious option, but decreasing regulation offers the most gains after changing immigration policy. Bad regulation is a bipartisan activity. Sarbanes-Oxley and Dodd-Frank are two of the worst regulations to come along. They need to be repealed. Sarbanes-Oxley, passed under George Bush, fixed a problem that did not exist. It was passed in response to the Enron scandal, even though everyone involved went to jail under pre-existing law. It imposes a huge and unnecessary burden to small business in particular. Dodd-Frank was passed in response to the 2008 financial crises, but it does nothing to prevent another crises. In fact, it imposes huge costs to financial institutions, even as it enshrines the concept of too-big-to-fail into law, guaranteeing another crisis. It needs to be repealed, and too-big-to-fail needs to be addressed directly. Finally, we would require a cost-benefit analysis of all existing and proposed legislation. Those provisions that failed the analysis would be rejected or repealed. That's CERF's proposed economic policy. It would result in an immediately robust economy. It would change lives, especially the lives of young people just entering the workforce. We put it out in the hopes that it advances our national economic debate. Bill Watkins is a professor at California Lutheran University and runs the Center for Economic Research and Forecasting, which can be found at clucerf.org.